If you’re an artist and you live in Canada then you really need to check this out. 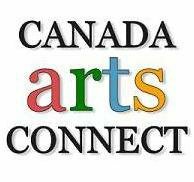 Canada Arts Connect is where Canadian Artists, Writers, Musicians, Photographers, Actors, Dancers, Designers, (and all other arts professionals) connect with jobs, opportunities, resources, and each other. They used one of my photos on their site, which made me feel like a real artist.